Blog and News | GreenRope :: Great Support Team, Great Support. The customer experience is everything, and your experience with our support team is no different. Our amazing client services reps are experts, but more than that, they are caring individuals. Let’s meet the team! Give us a brief background story? I graduated with a B.A. in Political Science from the University of California, San Diego. With many years of customer support and software experience under my belt, I joined the GreenRope team in the fall of 2011. What do you do for fun? I like Hiking, watching Basketball/Football games, indoor climbing, and running/staying active. I do a lot of travelling. Why do you love working at GreenRope? I love working for GreenRope because of the open atmosphere and engaging company culture. It has been a pleasure to work closely with the differing departments, and provide feedback that is considered. This shows that my input is adding to the company's internal and external growth. Favorite part about helping GreenRope clients? I enjoy showing the benefits of GreenRope and how it can assist with our client's business growth. Their satisfaction with the system and an increased knowledge of automation, encourages my team to provide the best support possible. What is your top tip for new GreenRope users? Make sure that your user-defined data fields and groups are set up appropriately, so that you can accurately segment your leads and clients for optimal system performance. Need help? Just ask! What is a rule to live by as a customer support team member? Listening attentively to the customer community's inquiries. This allows for efficient and effective assistance. What does the customer experience mean to you? The customer's experience is imperative to our daily support practices. We want to ensure the happiness of our clients, and attempt to provide personalized assistance and consultations. Tell us a little about your back story? I am a San Diego State alumni, and am currently continuing my education at the University of San Diego in Health Care Informatics. I share the same dedication and excitement in learning as I do in teaching. I really enjoy collaborating with clients to accomplish strong and sustainable performance. Other than assisting customers, I also work creating and editing written works for GreenRope’s marketing team. I am enthusiastic about forming positive relationships, with the desire to bridge the informational gap about CRM. What do you do for fun? When I’m not supporting clients and team members, I love trying new food, baking, weight lifting, and dancing - essentially eating a lot and working out to burn off the excess calories. Why do you love working at Greenrope? I love working at GreenRope because of the amazing team behind me. Not only is Little Buddy the best HR Manager, and hugger, but each of the GreenRope staff is extremely helpful and good at what they do. There is a large skillset that is shared amongst the team, so I’m always growing and learning something new. Favorite part about helping our users? My favorite part about helping GreenRope clients is being able to make someone’s day a little bit better by helping them find what they are looking for. With a passion for helping others, I find a lot of satisfaction in assisting clients finding a solution to their problem. What is your top tip for GreenRope users? Emails are essential! And so is DKIM/SPF…so make sure you have that set up for optimal delivery! What is your best tip for giving great support? Even in the most difficult and frustrating situations, have the goal to make your client smile by the end of your conversation. What does the customer experience mean to you? For me, a successful customer experience is not determined just by giving the client what they are looking for, but also projecting friendliness, reliability, and trust. What is your story? I am a part of our Client Services Team as well as the Marketing team. I received my B.S. in Business Administration with an emphasis in Marketing from California State University San Marcos. I joined the GreenRope team during the winter of 2014 as a Marketing Intern. My knowledge about CRM software from courses at school combined with my knowledge in marketing from have definitely made me a great fir for the team. What do you do for fun? I like drawing, arts & crafts, and seeing live music shows! Why do you love working at GreenRope? I love working at GreenRope because it challenges me every day. With every new day, comes a new variety of projects and tasks that I am to figure out and complete. I feel as though my thoughts, ideas, and suggestions are contributing to the betterment of the company and that’s the best feeling ever! What is your favorite part about helping GreenRope Clients? My favorite part about helping GreenRope clients is that it allows me to learn about every feature, button, tip and trick within the CRM. This in turn helps me help more people — it’s a win-win for everybody. What is your top tip for our users? Implementing a CRM forces you to confront all of your business processes. This is because CRM systems are designed to integrate with your day-to-day tasks, campaigns, projects, and more. Before considering a CRM, remember to sit down with your whole team and make sure everybody is on the same page before stepping on board. What does the customer experience mean to you? To me, a good customer experience is one of the main determining factors of a great company. Without happy customers, it would be really hard for a business to succeed. What’s your back story? I am one of the Client Services staff members over here at GreenRope, and I am originally from South Africa. I started working with the company right after receiving a B.S. in Business Marketing from California State University San Marcos. I take deep pride in all aspects of my work and personal life, and really enjoy engaging and supporting our clients. What do you do for fun? When I am not supporting clients and assisting the GreenRope Team, I am learning to code HTML, going to the gym, finding a new trail to hike, or just listening to some great music. I started an online candle company that keeps me busy during the weekends - especially during the Holidays - but also allows me to be creative and build on my entrepreneurial spirit. Why do you love GreenRope? The reason I love working with GreenRope is not only because of the inspiring people I’m surrounded by, but also because of the integrative software that is just so fascinating. 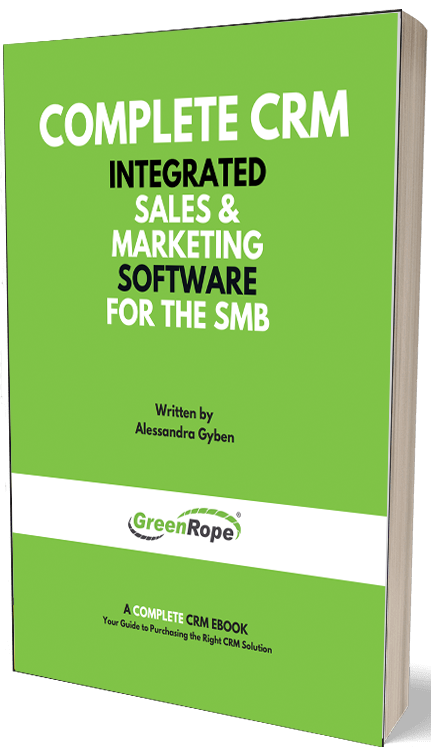 GreenRope allows you to run your entire business from one single platform, as well as generate analytics to help with making strategic business decisions. The resources that GreenRope provides not only allows you to identify aspects of your business that are working well or those that are not performing up to standard, but also helps with making the right strategic move for your business moving forward. What is your favorite part of working with our users? My favorite part about working with, and helping clients, is the passion that is connected with the work that we do. This platform is more than just a software, it is the base that helps operate many people’s businesses and helps to build relationships with their contacts. Working with motivated individuals is the best part of working with clients, since we have a common goal in mind to keep moving forward and continuously improving. What is your top tip for GreenRope users? My Top Tip for GreenRope users is to think about and strategize how you want to organize the flow of your interactions with clients. This will make sure that you create meaningful and educational touch points along the customer journey. GreenRope actually just launched our newest feature called JourneyFlow that does just this. Check it out - I’m a HUGE fan! What is your top tip for giving great support? When assisting clients, I find myself taking the consultative approach which allows me to think about why they may initially be asking this question, which I call - “Question Zero.” Thinking this way forces helps to think about what prompted this question to come up, and help provide a solution that will work in the clients best interest to help build understanding and the best solution to move forward. What does the Customer Experience mean to you? That’s pretty simple, it’s everything that we stand for! My goal is to make sure that our client’s needs and questions are taken care of. Without the understanding of the platform, they cannot take full advantages of the many features that could be valuable to their business. What’s your back story? I was born and raised in San Diego, son of a Master Chief in the NAVY and grew up in Rancho Penasquitos. I have many interests in life but music has always been a passion. I've learned to play the violin, piano, and DJ mixing. Music is always therapy! Growing and learning, I developed an optimistic personality and million-dollar smile that keeps myself and company extremely happy, no negativity here! Studying business and computer science at San Diego Mesa College has allowed me to enahnce my education, and of course, I still love to read books recommended by professors. I look forward to what life has to offer! What do you do for fun? – I love skiing, yoga, and being active! I’m always attending concerts. I love the energy and music! I also own two BMW's that I like to work on. Why do you love working at GreenRope? GreenRope has taught me how to handle internal projects collaboratively, with a group of individuals who are very capable! What is your favorite part about helping our clients? Our clients are people who understand that CRM is going to help them grow their business. I love that they are patient enough to understand that we all are learning from each other to make GreenRope the best! What is your top tip for GreenRope users? The help function is the golden book of everything you need to know. It is so thorough; I always use it! What is your best tip for giving great support? We may be behind a computer screen, but always we must treat each other with the same respect and know that we are all learning from and with each other. What does the customer experience mean to you? Happy employees make happy clients. A good experience means meaningful communication that reinforces how we help one another to accomplish goals and thrive over obstacles with the right attitude! There you have it! If you ever have any questions about the platform or just want to say hi, never hestistate to email us, chat us, tweet at us, Facebook us, or call us! We're everywhere!